ALSO A NEWER SMILEY FACE VARIETY. 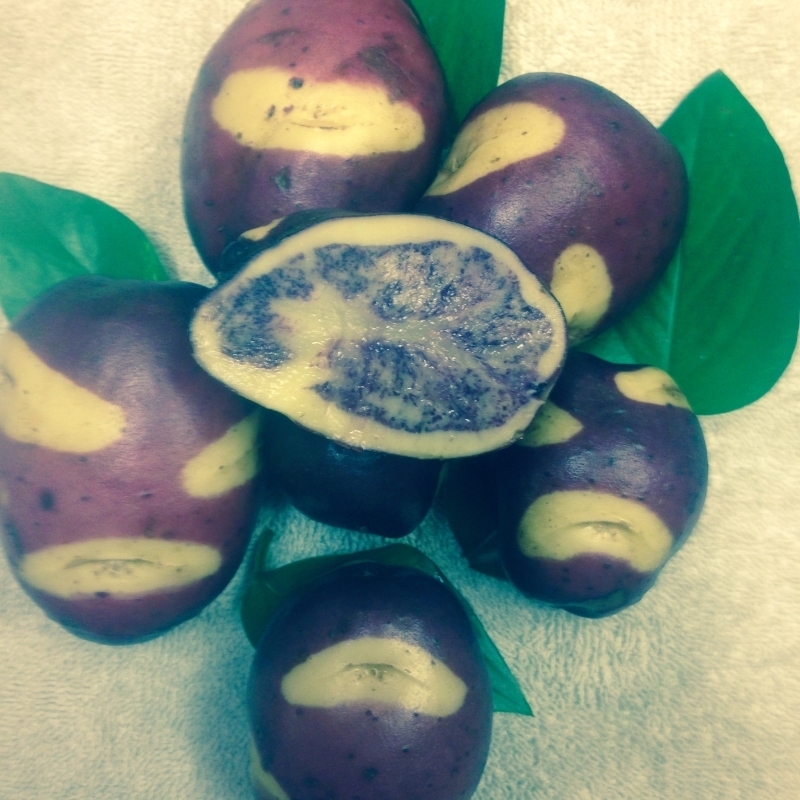 IT HAS A PURPLE TO RED SKIN WITH YELLOW SMILEY FACES OVER THE EYES, WITH A VERIEGATED PURPLE, YELLOW FLESH. ITS SETS HIGH IN THE HILL AND IS ABOUT 90 DAYS TO MATURITY. ITS YIELDS WELL SETTING UP TO 15 PER HILL. THEM FOR A FEW MINUTES. JESTER HAS A SHORT DORMANCY AND SO DOES NOT KEEP WELL. ADDS LIFE TO ANY PRODUCE DISPLAY.......SLIGHT RESISTANCE TO VIRUS FUN TO GROW.